This must be one of the most beautiful places anywhere. 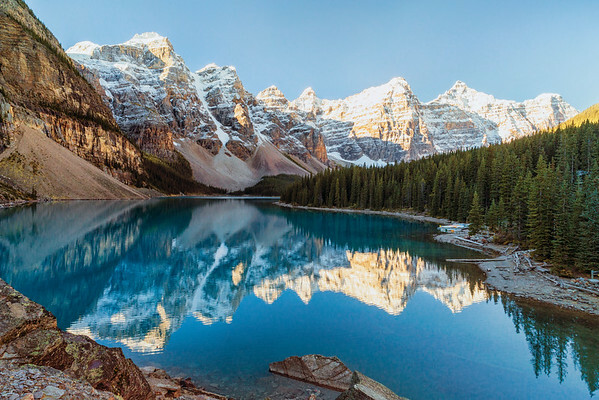 Surrounded by mountains, Moraine Lake is blessed with indescribable beauty. I made this shot from the "rock pile" at the end of the lake. I knew about the rock pile but it was much larger than I expected. This photo was made from the rock pile but not close to the top.